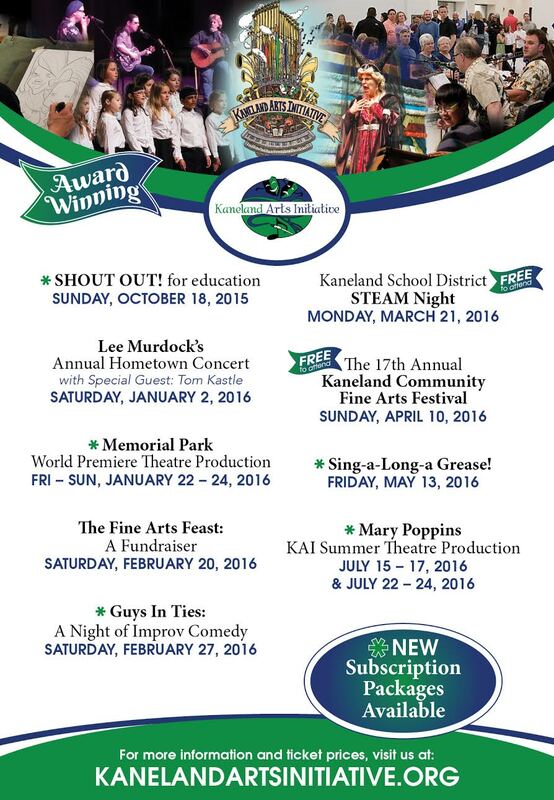 Begun in 2009, the KAI Performance Series brings affordable professional quality performances year round to the state-of-the-art Kaneland Auditorium. 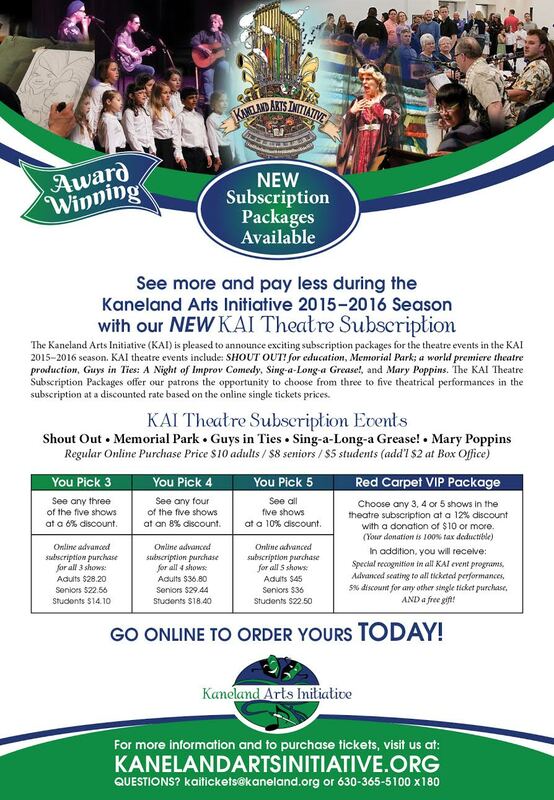 Click here to purchase tickets to the 2015 – 2016 Season! Check out the following great season ticket package! Check out the Photo Gallery for pictures of our KAI Performance Series Events.